Hey guys, these are my two tattoos! I got the first one after a life changing canoe trip to Quetico Provincial Park in Canada. 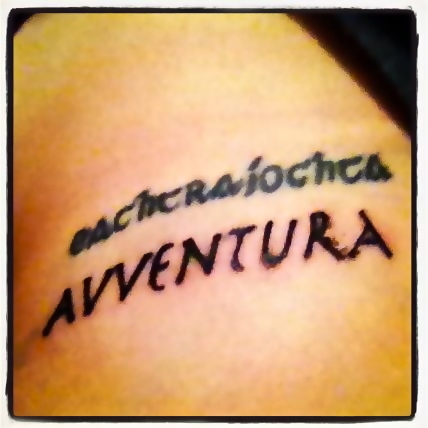 I’m Irish so I got it in Gaelic, and translated it says “Adventure.” The second one I got two weeks ago to represent the time I lived in Italy this past year. It says “Adventure” in Italian! I plan on having a line of “Adventure” tattoos from every country I live in, in their language.